Call HD Foundations for apartment foundation repair and commercial foundation repair in the Dallas Fort Worth metroplex. 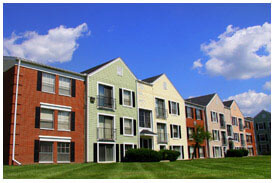 In addition to townhomes and condominiums complexes, we service warehouses, schools, church foundations and more. We also offer an outstanding warranty and perform foundation evaluations at no cost. As established contractors, HD Foundations knows how to solve all types of foundation damage, including those affecting apartment buildings and commercial properties. We’ve performed foundation repair in the Dallas Fort Worth metroplex for years, and service cracked concrete slabs as well as pier and beam foundations. 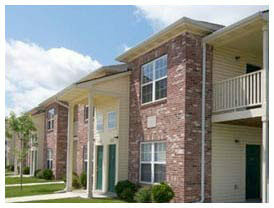 Townhomes, condominium complexes, churches, schools, warehouses, office buildings, strip centers. If you see sinking or settling in your foundation, we can fix it. HD Foundations has “heavy duty” experience and an A+ rating with the Better Business Bureau. To prevent foundation problems, we install pressed concrete piers. After carefully evaluating your structure, we can accurately determine how many pilings will be required to fix it. HD Foundations offer an excellent warranty on repairs. This means you’ll be protected on the apartment or commercial foundation work we do anywhere in Dallas, Fort Worth metroplex. So schedule a free foundation repair estimate online today. To halt damage, get foundation piers installed and restore your structure to its original position. Save time, trouble and money when you stop the causes of foundation cracks.